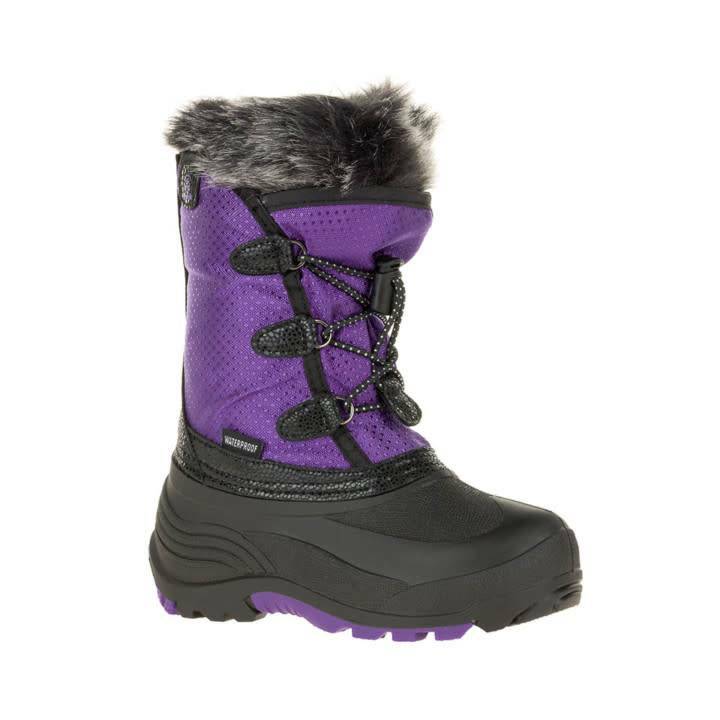 Whether they're trudging through slush on their way to the rink or making snow angels in fresh powder, the Powdery snow boot for kids keeps their feet dry. Featuring seam-sealed waterproof construction and lightweight RubberHe bottoms to keep them on their feet—when they're not making snow angels, that is. Our Zylex® liner keeps your feet warm, dry and comfortable for those who spend a lot of time in the snow. The three-layer system wicks moisture away, traps body heat in and keeps the cold air out. And to top it off, it’s made in Canada, where we know winter well. Our Waterproof seam-sealed boots are made to seal out snow and water. All of the materials and seams are specially treated to block moisture and keep your feet totally dry all day long.